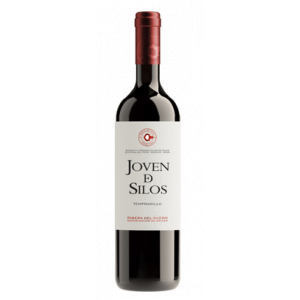 Cillar de Silos produces this 2017 Cillar de Silos Joven de Silos Ribera del Duero ($307.76), a red wine from Ribera del Duero harvested in 2017 and has an alcoholic strength of 14%. Uvinum users rate this red wine with 4 out of 5 points. - View: cherry red, violet tones. - Nose: Elegant aromas of ripe red and black fruits (wild strawberries and black plums), mineral and floral (violet) and feelings of youth. 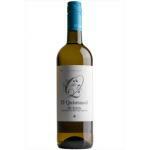 - Mouth: fruity, fleshy, silky, pleasant with gentle tannins. Refreshing acidity, intense and very fine. VINEYARD: Vineyards of Mil Altares, Royal, San Miguel, La Mariquita, El Chozo, El Portillo, La Yunquera, cork and Nava. predominantly sandy soils with clay and silt. AGEING: No aging in wood. WINE PAIRING: with lids (tortilla chips, cakes), sausages, fish grilled blue, black rice, chicken in various preparations or snacks. I bought it through the net. Has a very cheerful colour. Good coffee aromas. It was a rich wine. 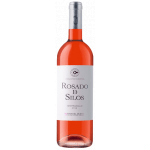 If you want to buy 2017 Cillar de Silos Joven de Silos Ribera del Duero, at Uvinum you will find the best prices for Ribera del Duero red wine. Buy it at Uvinum, very easy and comfortable via any device. We offer over 59.000 products on sale which turns us into the leading marketplace in selling wine, beer, and spirits in Europe with more than 38.000 customers trusting us.